Glass trinket boxes and jars are my weakness, I literally can't help myself. Can you blame me for this one though? I'm convinced it whispered my name . . . . 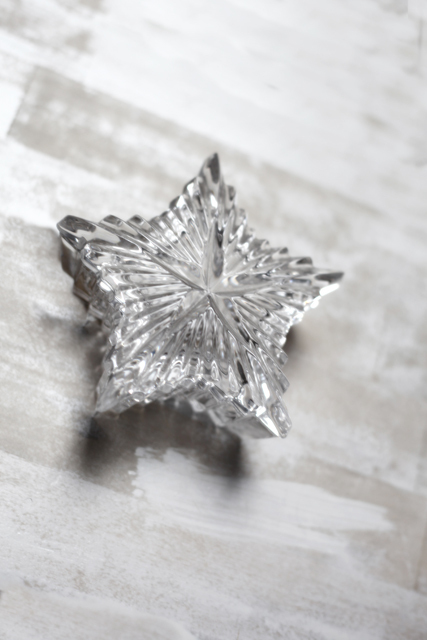 Pure, star-shaped, sparkly joy for only £1.50, but can you really put a price on prettiness?! I think it has just swiped the crown of my Favourite Find. 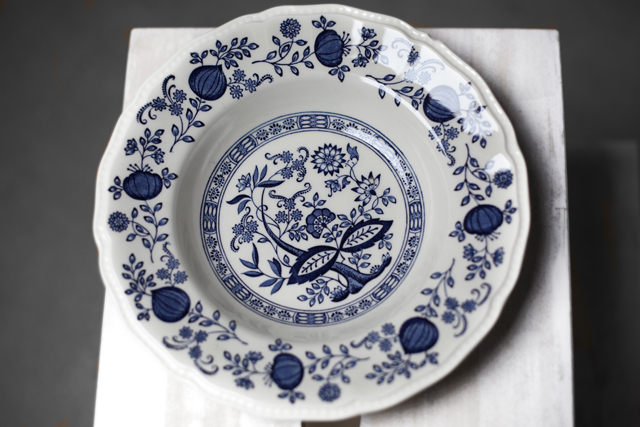 More blue and white love and I can thank Cancer Research for this bowl at £2, I'm going to use it on the wall of the bedroom or maybe as a jewellery dish. When it comes to wine glasses I hold my hands up and admit that I'm an 88p for 4 ASDA purchaser and don't own any pretty ones other than this pair I picked up last week for 50p. Blue glass is a winner! 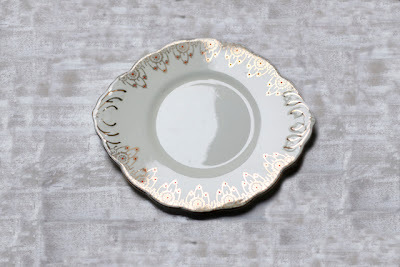 A Salisbury cake plate for £1.50 in Mind, I've earmarked this one for possible drillage - it could be a good bottom layer for a DIY cake stand if I'm brave enough! Little vintage shot glasses, £1 for the 4 in Cancer Research - though I was inadvertently underhand in acquiring these! They had been reserved for another lady while she went to draw out some cash - one of the volunteers hadn't realised so had put them back on the shelf and I'd come along, seen the sparkle and scooped them up, handed over my pound and was just putting them into my bag when Reserved Lady returned. I'd like to say it was a case of handbags at dawn and a minor scrap ensued but she was very nice and said I should keep them, so thank you Reserved Lady - I'm sure there'll be some bargain karma headed your way! 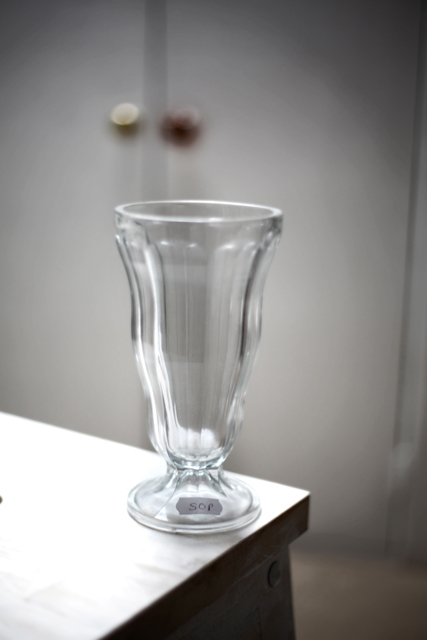 Buying a sundae glass while dieting possibly isn't the wisest thing as now I want to cram it with a couple of scoops of mint choc chip and a couple of something toffeefied with a caramel-y sauce, yum! 50p from the Lighthouse charity shop though so I couldn't leave it on the shelf. 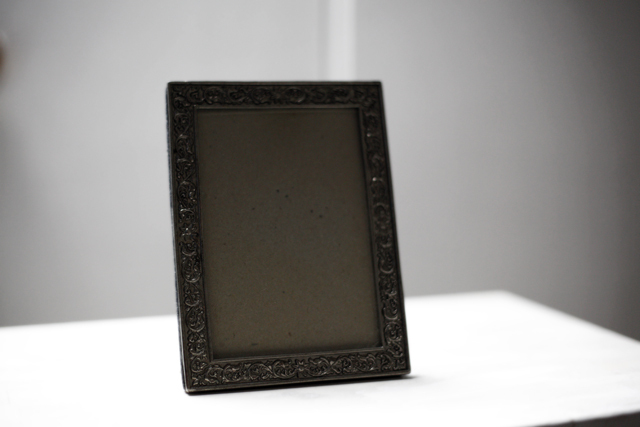 A little pewter frame I thought would be just the thing for the right black and white family photo, 60p from the Salvation Army. A sweet Royal Vale jug with thistle print from Mind for £1, a good one for milk on the breakfast table. 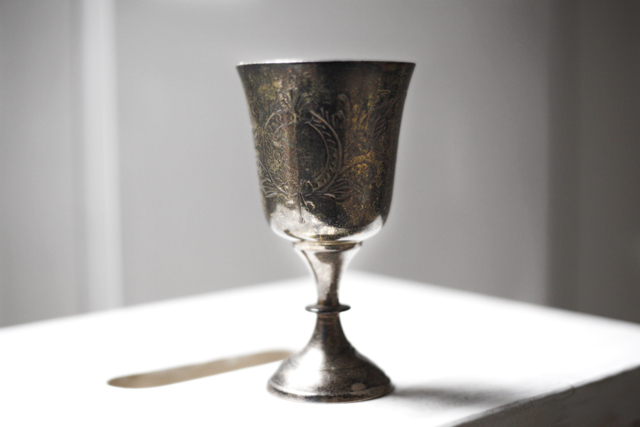 My first and only goblet for £1 from the British Heart Foundation, I'm fairly in love with the tarnished surface and I'm already conjuring ways I can use it while keeping an eye out for more. Lots of sweet finds! I love the star shaped glass box, your blue and white dish and those gorgeous blue goblets. Great stuff! All gorgeous finds Jem but that little star trinket is just divine! I'm also loving the little jug with the thistles.I have a thing about little jugs! Enjoy your treasures and I'm sure you could make a wish upon that little star! Beautiful finds. If you do drill the plate please may we see what happens? I'd love to make a tiered cake stand but just don't have the nerve for it. Love the finds, especially the little shot glasses. Go on - get the drill out! How pretty is this lot? The star looks beautiful, in my blog update section it stood out a mile (I'm pretty sure it called my name). Your photography shows off these buys so well, have you had any formal training-it looks professional? Some rainbow coloured sorbet or granita would also look great in the sundae glass, maybe we need a rainbow theme to keep up with Lakota! Such lovely finds, every time I think you show me a favorite you add another pic! You can fill the sundae glass with sparkly inedible treasures with the promise that if you meet a goal you can fill it with something else. I love the idea of using that sweet little jug for milk on the breakfast table! You always find such beautiful stuff, Jem! 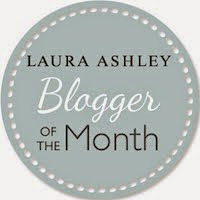 Ooh just found your blog and it's right up my street. Your finds are beautiful. Jealous! Love the star and your photography in general. Please DON'T drill the plate, it breaks my heart to see so much gorgeous vintage china being drilled for the latest cake plate fashion : ( boo, hoo. Would love to see the final cake stand if you did drill through that plate! A how to would be brilliant on a project like that! Oooh such pretty finds. You must be pleased as punch! I particularly love your star dish (I would have fought you for that one LOL) and your blue wine glasses. How funny. 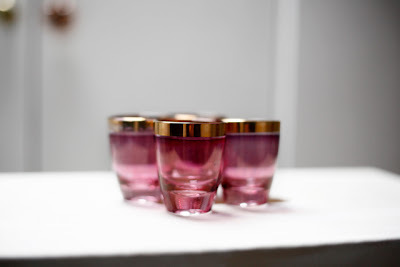 I have put up about shot glasses this week too. Yours are much more of a bargin though! Love that little trinket case though. Beautiful! You have some great charity shops where you live! Hey girl, put some fresh berries with some layers of Greek yogurt and some crunchy granola and you can have a healthy snack. I always wonder how frank to be on some blogs about choices people make to paint, drill, or transform pieces. 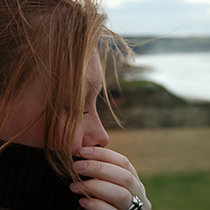 Most of the time, I just keep quiet so not to offend. I figure, the item isn't mine, but I tend to usually wish things were left alone, unless the piece is damaged and the change gives it new life. Though, someone could argue that the transformation IS new life. Just depends on perspective, eh? You did well with all your nice finds! You've done it again! I enjoy your hunt! I am a big fan of blue/white so I am very taken with your plate. Also love your blue wine glasses. Visiting from Diann's party. Jem, You really found some nice pieces. 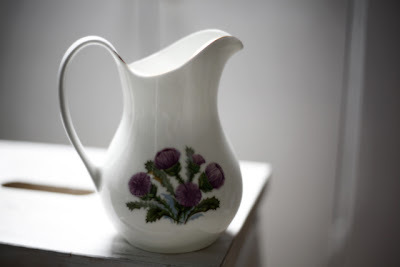 The little thistle jug is darling. 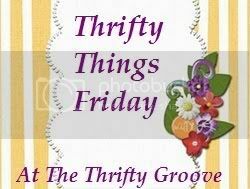 Oh, what pretty treasures you foud this week! I think I would have bought each of these as well! 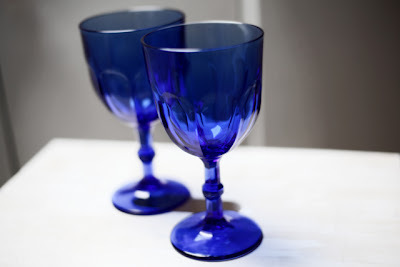 I really love the blue glassware and that gorgeous silver gblet! Great finds! Thank you for joining TTF and have a wonderful weekend!